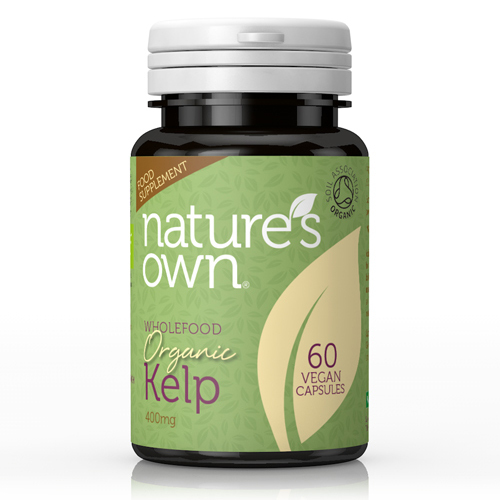 Natures Own Organic Kelp contains 400mg of kelp per vegicap. Kelp is the name given to a whole variety of seaweeds. It contains large amounts of organic iodine and traces of every known mineral and element which act as catalysts in the body and stimulate vital enzyme reactions. The iodine content of Kelp means it is of great benefit to thyroid metabolism. Nature’s Own kelp supplement has organic status and is guaranteed free from all impurities and pollutants. The kelp is from a sustainable source and is naturally and consistently high in iodine, containing 280mcg per vegicap. Nature’s Own kelp supplement contains 3 species of wild bladderwrack (the type of seaweed). 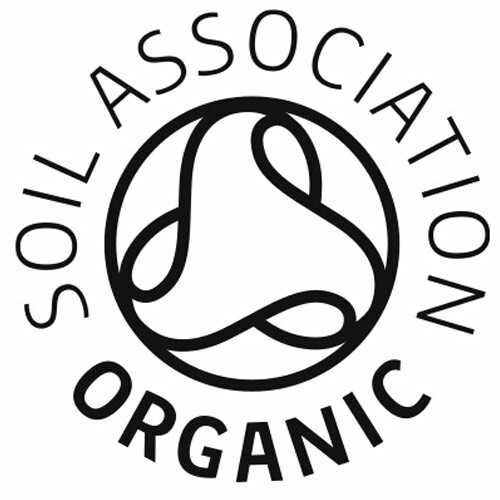 Nature`s Own was born in 1979; Nature`s Own are committed to offering the most effective supplements possible. We work with Doctors and Practitioners as well as the general public, and it is vital that everything we do is the best and most natural possible. Our most important commitment is to create and sell supplements that are as close to nature as possible. Organic Kelp (Ascophyllum nodosum), capsule shell (hydroxypropylmethylcellulose). Take 1 capsule daily as a food supplement or as directed by a practitioner. Pregnant or breastfeeding women should consult their doctor before taking this product. Kelp is not suitable for children. Below are reviews of Natures Own Organic Kelp - 60 Vegicaps by bodykind customers. If you have tried this product we'd love to hear what you think so please leave a review. I bought these because kelp is excellent to help your body get rid of radiation, from x-rays for example. They seem to be very good and natural but played havoc with my thyroid because of the iodine. My husband is fine with them though. 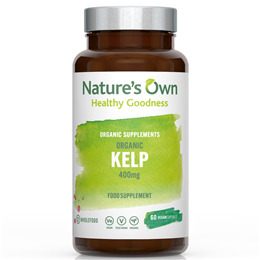 Natures Own Organic Kelp contains 400mg of kelp per vegicap. Kelp contains large amounts of organic iodine and traces of every known mineral and element which act as catalysts in the body and stimulate vital enzyme reactions.